Enstaka strandvilla mellan Holetown och den berömda Mullins Beach. Camden Nook är en härlig villa med direkt tillgång till stranden och en utomhus jacuzzi med utsikt över Karibiska havet. Villan består av tre sovrum, alla med luftkonditionering. Blue Ocean, Fish, and Rum..oh my! Overall, my family of 5 thoroughly enjoyed our stay at Camden Nook. The location was magnificent- with the ocean at our backdoor and a local fish market and Rum bar just steps away. Our children enjoyed the many nearby beaches- all with beautiful, white sand and warm, blue water. Camdem Nook was well appointed and was suitable for the family. Melinda, the house "assistant" was also wonderful. The only constructive criticism we have is that there were some items at the home that need attention and, had they been corrected, it would have given us an overall better experience. The main one is the hot tub, which was inoperable the entire week- none-the-less, it was still advertised as a nice feature of the property. Other small things like fallen down landscaping lights and general "quality" of the home. Nothing major...we could simply tell this was a rental property and not one's primary residence. Again, this property and location worked for our family and we came away with a wonderful Barbados vacation experience and memories that will last a lifetime. Thank you for the accommodations! Perfect beach house for a quiet and laidback vacation. Functional amenities, good location and stunning view. Excellent offering of in-home entertainment. Also loved the puzzles, games and books. Lovely place to holiday. Great location, lovely property, super management and cook! Camden Nook is the perfect place to relax. As a family, we loved the garden access to the sea, the wonderful lunches prepared by Shernel and we very much appreciated Wendy’s management and knowledge of all aspects of our stay. We’ll definitely be back. We are delighted that your stay was enjoyable, we go the extra mile to make sure our guest have memorable holidays. We very much hope you return to us again soon. Everything you could need from a Caribbean holiday. Right on the beach. Comfortable. Private and yet near to everything the West Coast has to offer. 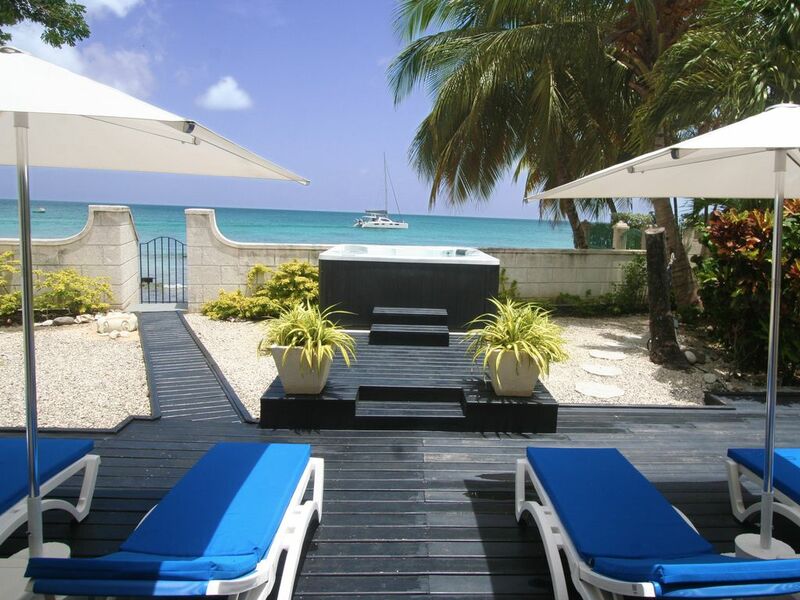 Lovely beachfront Villa with plunge pool. This was our third stay at Camden Nook and it just keeps getting better. Lovely positioned plunge pool jacuzzi overlooking the sea. We had lovely lunches made for us and enjoyed the Sonos music facility. Camden Nook is well placed for access to the main restaurants on the west coast and we visited Lone Star, the Cliff, Tides all being great beach front restaurants and Nishi in Holetown a fantastic Sushi and Pie restaurant!. Also we liked Lemongrass (Asian/Thai) and Pepenero (Italian) in The Limegrove being great value. We did water sports where we were picked up from villa. Best trip being Calabaza catamaran cruise along with nights to Harbour lights. 1st street on Sundays being a great music street party night with street food also and one love bar serving very cheap drinks. Tuesdays and Thursday band night at Bar in Chattel village. Also went to Garrison savannah for races which was great. Thanks to Nick and Celia for letting us stay in your lovely villa. Camden nook is amazing! We just returned from a week visit. The home is much larger than the pictures appear. We walked the beach and our best snorkeling was done right outside our door. Had dinner almost every night on the large open private patio. Nick was so easy and great to work with. Wendy was our housekeeper and made our stay extra special with her island tour guide help. We hope to be back ! Beachfront Villa på en vacker lugn sandstrand (camdennook. Com). Varmt turkosvatten, bra för simning, snorkling, fiske. Camden Nook ligger en kort bilresa antingen från Holetown med det exklusiva shopping, restauranger och barer i Lime Grove eller Speightstown för en mer rustik upplevelse av lokala barer och restauranger och den berömda Nikki Beach Club. 5 minuter till norr är Gibbs Beach och den berömda Mullins Beach med strandbar / restaurang och vattensporter. 3 min bilresa eller 15 minuters strandpromenad, (du kan bli lite våt!) från villaen är Lone Star Restaurant som har en stor cocktailbar och strandrestaurang. Om du föredrar något lite mer Bajan; John Moore Rum Bar (en av Barbados presidenter vattning hål) är gångavstånd. Här blandar med lokalbefolkningen spelar domino och njuta av en kall drink på stranden.